Back to school for some, back to work for others, and end-of-year deadlines for many: September is crunch time in our culture, and widely regarded as one of the most stressful times of the year. The transition from one season’s pace to another can increase stress, lower immunity and leave us feeling drained. Clear Your Calendar. The commitments you may have for work, school or children likely dominate your September calendar. Resist the tendency to schedule more. Keep non-essential events to a minimum, push meetings back if possible, and give yourself lots of wiggle room to decompress. Try Scroll-Free September. Scroll-Free September is a UK-based initiative encouraging people to give up social media for the month. By reducing social media consumption, you may also find yourself giving up negative body image, fear of missing out and poor sleep habits. If nothing else, it’s one less “thing” demanding your attention. Practice 4-7-8 Breathing. This mindful breathing technique can calm your nerves in just a few moments. Breathe in for a count of 4, hold the breath for a count of 7, and then exhale for a count of 8. Repeat 3 times. Use this throughout the day when faced with stress or if you are feeling overwhelmed. If you can’t do all of these things, just stick with #3: When things get rough, remember to breathe. As always, if you need guidance, please call our Helpline at 610-687-6391.
related to divorce,child support or custody? Overview of Family Law in PA Presented by Julie A. Auerbach, Esq. child support, custody and related family law topics. Thursday, June 4th – 5:30 p.m.
Nickels for Nonprofits program for WRC from April 13-July 5th. Women’ Resource Center has been selected by Whole Foods Devon as a beneficiary of its Nickels for Nonprofits program from April 13-July 5th. For every shopping bag you reuse, $.05 is taken off your bill. Or you may donate that nickel to WRC. These nickels add up to valuable programmatic dollars, allowing Whole Foods Market and their customers to make a real difference in our community! Thank you to Whole Foods for this opportunity. Wayne, PA January 27, 2015 – More than 550 women are expected to attend the 9th Annual Women’s Leadership Luncheon benefiting the Women’s Resource Center (WRC). This highly anticipated event – a sellout for the last five years – will be held at the Hyatt at the Bellevue in Center City, Philadelphia on Friday, April 10th, 11am-2pm. Emceed by Emmy-award winning journalist and former NBC10 reporter Lu Ann Cahn, the Women’s Leadership Luncheon will feature a keynote address on “The Art of Negotiating Throughout Life” by Jen Gaiski, Senior Vice President of Content Acquisition at Comcast. 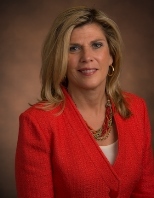 Among her many honors, Ms. Gaiski has been listed as one of the “Top 50 Most Influential Women in Cable” by Cable World Magazine multiple times. She has been recognized by CableFAX as a “Woman on the Move” and has received the distinguished status of “Wonder Woman” by Mutilchannel News and Women In Cable Telecommunications, NYC Chapter. Single parents, listen up: A few pen strokes now can save you thousands of dollars later and leave your children more financially secure, too. Estate and retirement planning is crucially important for single parents, both men and women. Many think their assets and retirement income will automatically pass directly to their children. Not so. If you, the single parent, die early, without the right legal documents signed, a huge chunk of your assets can end up with an ex-spouse or with the government. How, for example, will you divide bank and retirement accounts? Among both your children and your ex-spouse’s children? If your will and financial documents don’t specify, your kids might not get those assets, or the courts might decide for you. Does each of your respective individual retirement accounts go to each of your respective children? What about the assets you accumulated with your ex-spouse? What about Social Security benefits, a percentage of which can legally belong to an ex-spouse? Financial advisers say they see money divvied up unexpectedly all the time. “Single parents have a unique set of financial issues, and they have less margin for error than other parents,” says Lou DeLorenzo, with TIAA-CREF in Philadelphia. Build a spending plan, savings, health-insurance coverage, and a legal plan for the unexpected, DeLorenzo says. Single-parent family units “often have very different sources of income. Besides salary, there is alimony, child support, or even disability benefits” from state or federal governments. Without a will, he says, a court-appointed guardian might be in charge of his boys. “It took my wife and I months to find the person to name as guardian of our children.” They also set up a simple trust, into which proceeds of life insurance and other assets will go if they die. Update paperwork. Did you know retirement or investment account beneficiary designations supersede wills? With America’s high divorce rate, it’s common for an ex-spouse to inherit all the assets in an old 401(k) for which the beneficiary was never updated. And if paperwork is not in order – which happens more commonly when women are not involved in the family’s finances – the probate process after death can be a financial nightmare, costing thousands of dollars in legal fees and months or even years before the assets are distributed. Don’t be afraid to discuss these issues openly. According to a survey by UBS, most parents, no matter how much or how little savings they have to pass on, don’t want to discuss these issues with their children and heirs. Get the help you need. You don’t have to be a millionaire to do it. Angela Marchesani, program coordinator and counselor at the Women’s Resource Center in Wayne, says the center holds “divorce resource” events at low cost. The center also has events on networking and job searches, and can refer newly single women to local bar associations, mortgage brokers, and financial planners. Five times a month, the center also offers legal consultations at different locations, and it refers clients to the financial-counseling organization Clarifi. “They do budget and debt management and ongoing financial services,” Marchesani says. Press Release – WRC Invites Women Veterans to Our Networking Event. 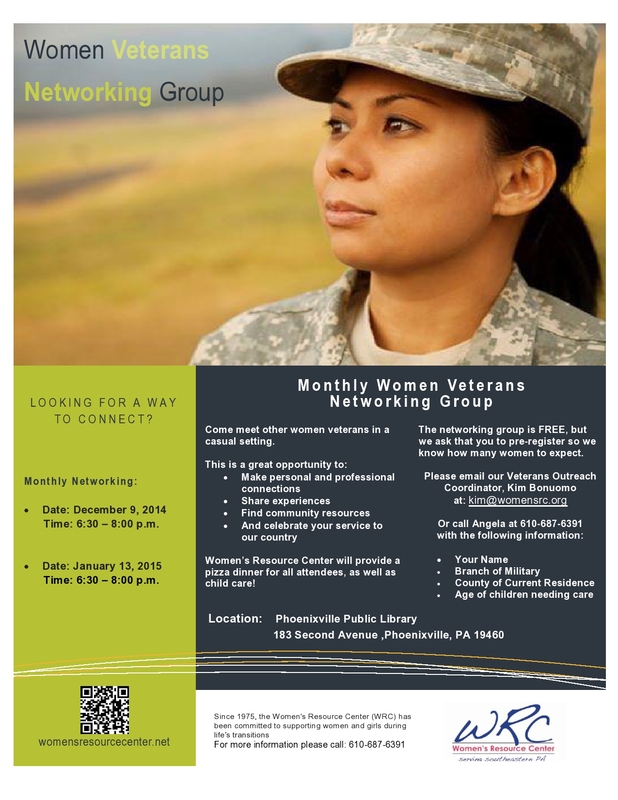 Wayne, PA October 22, 2014 – Starting on Veteran’s Day, Tuesday, November 11th, from 6:30 – 8:00 pm, WRC’s “Women Veterans Networking Group” begins. It will be hosted by WRC’s Veterans Outreach Coordinator, Kim Bonuomo, a family law attorney, who served during the Gulf War with the Army JAG Corps. 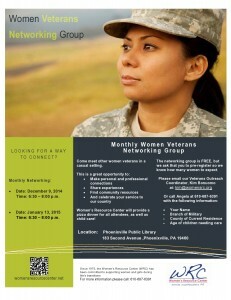 This monthly group is for women veterans to meet and network in a casual setting. It is a great opportunity for these veterans to make personal and professional connections, share experiences, find community resources and celebrate their service to our country. We also provide assistance through WRC’s services, such as referral services, legal, counseling and career development services as well as information on programs geared to their specific needs. The group will meet from 6:30 – 8:00 pm at the Women’s Resource Center, 113 W. Wayne Ave., Wayne, PA, continuing on December 9th and January 13th. We are hoping to expand to other areas in the Philadelphia region. 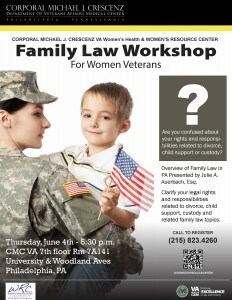 Women’s Resource Center will provide a pizza dinner for all attendees, as well as child care! The networking group is FREE, but we ask that participants pre-register so we know how many women to expect. For more information call 610-687-6391. Focus on learning. 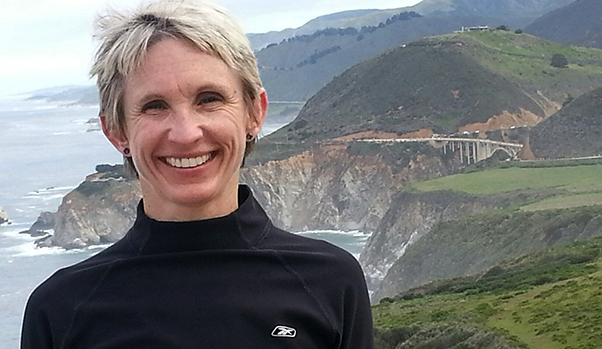 Our society is “obsessed with the concept of success, wanting more, of being the best, winning versus losing, all the while focusing on the negative aspects of our endeavors,” says McGrail. We label attempts as mistakes or failures when things don’t go right and quickly react to it often shutting down and feeling bad about it. Cheryl Rice, life coach, president of Your Life Your Vision in Glenside, Pa., and author of Where Have I Been All My Life? doesn’t label consequences as mistakes—good or bad. “They just are. We make decisions, there are consequences. If we learn from our choices then we win.” Adopting that attitude helps you grow in your ability to create whatever success you desire. debTweak it. A re-do doesn’t have to be a big deal. Rice recalls a former client made an easy change after being disappointed in herself for not speaking up at a meeting. Rice suggested her client do one thing differently for the next meeting: write down thoughts before the next meeting to take off the pressure of thinking on your feet, amplify someone else’s point or ask a question, says Rice. When the phone call came, Anthony Reynolds, a big man with a ready laugh, cried like a baby.